Do you think the banana adds extra moisture so the soap is more gentle? Have you used this soap already? I have to say that I just love your soap. I can never make soaps nice if I hot process it. 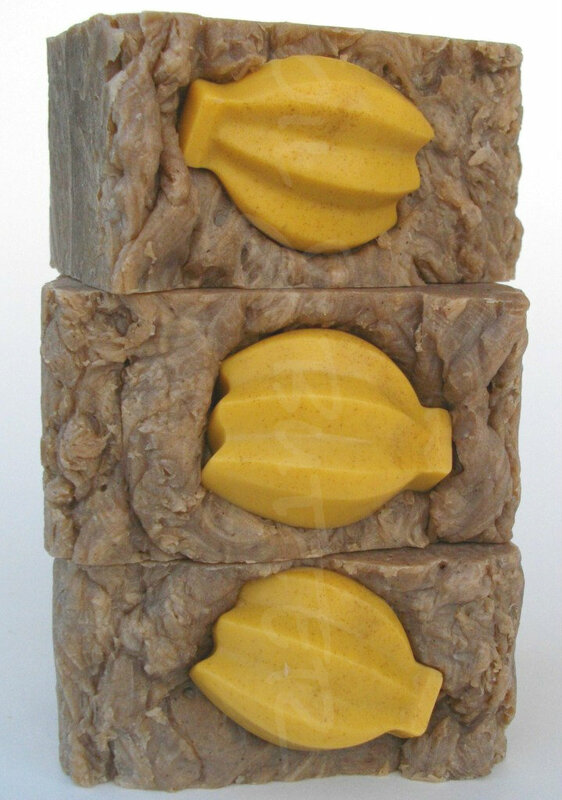 Thanks Kirppu, I really enjoy making hot process soaps :) I think the banana adds a really nice quality to this soap, I have used it and the lather is amazing! It seems to be a very gentle soap, and I think that it really helps to blend the bananas (which are slightly acidic) with milk and use it with equal parts water for your lye liquid - this really helps keep the pH level neutral. Soaping101 did an excellent video explaining why and how to make banana milk soap here: http://www.youtube.com/watch?v=pBogNZ7BjoE (you'll have to copy + paste, I'm not sure how to make it clickable!) Bonus - the video also shows the hanger swirl technique! Happy Soaping! You're most welcome! Aren't those videos great?! Your cucumber-honey soap sounds so nice, did you incorporate the cucumber at trace or as part of the lye water? I did put the finely chopped cucumber peel at trace and mixed even smaller with my stick blender. I usually put honey in the water before I ad lye and I´m glad that it has never overheated. I´ve been only making soap for 7 months now, but it´s so addicting. If you want to see what I´ve made you can check it out at kotikemistinpienipaja.blogspot.fi It´s in finnish, but there is pictures of all the soaps. Thank you, I might take you up on that! Did you know you can shorten your links with Shortest and make money for every click on your shortened links.